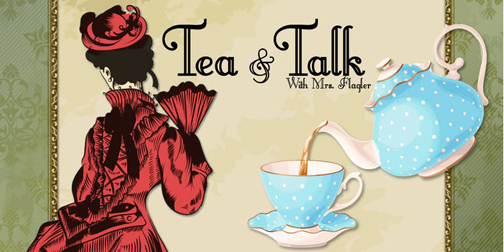 PALATKA – The indomitable Mary Lily Kenan Flagler (portrayed by Dianne Jacoby), third wife of oil and rail magnate Henry Flagler, invites you to join her for tea Oct. 27 at the historic Bronson-Mulholland House, 100 Madison St., Palatka. Admission to the show includes tea and tea service with light lunch. Tickets are $25 per person, and include admission to the show, tea, and tea service/light lunch. Hats are optional. For tickets and information call Jean Russell, 386-684-0103 or 386-492-1309. Two tea times are available: 10:30 a.m. and 2:30 p.m. Tickets are extremely limited inside this historic antebellum home. All proceeds will go to help the Putnam County Historical Society’s efforts in restoring and obtaining historic procurements for the preservation of the Bronson-Mulholland House.